In a gross violation of his human rights, Oyub Titiev, human rights activist and director of Memorial in Chechnya, was today sentenced to four years in a penal colony settlement. Civil Rights Defenders condemns the verdict and consider it a pretext to silence one of the last remaining outspoken activists in the region. Without the active presence of Memorial in Chechnya, the regime will have more space to commit abuses without the fear of repercussions. “The trial was absurd from beginning to end, and there is no illusions that Oyub will be released. Ramzan Kadyrov, the head of the Chechen Republic, had already stated publicly that Titiev was guilty. In Chechnya, where an independent judiciary is non-existent, there was little hope that the judge would try to establish the truth,” says Inna Bukshtynovich, Programme Officer for Eurasia at Civil Rights Defenders, who was present in Shali district court when the verdict was announced. On 9 January 2018, Oyub Titiev was pulled over by police on his way to work. After holding him incommunicado for seven hours, Chechen police stated the then 60-year-old had been arrested and charged with unlawful possession of drugs – referring to a bag of marijuana that Titiev believes police planted in the boot of his car. He has been held in pre-trial detention ever since, and his motions for bail repeatedly dismissed. 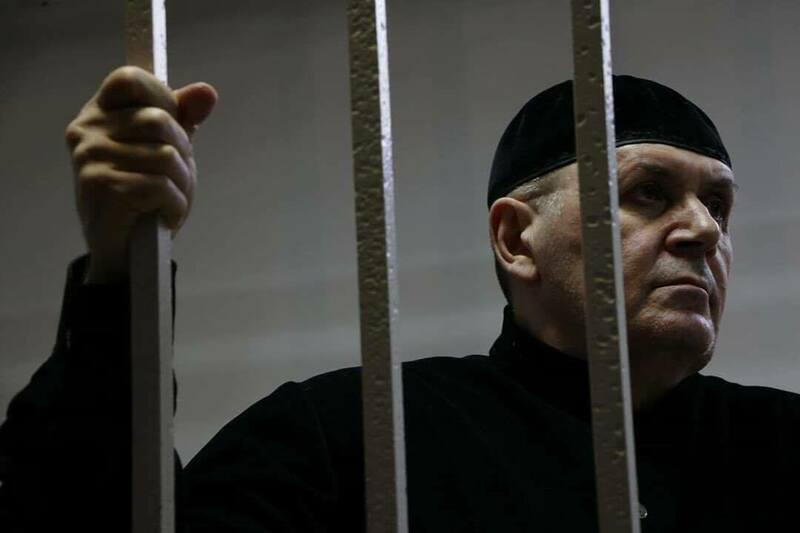 The trial has been farcical, as Titiev has been refused permission to sit with his lawyers, his family has been harassed, evidence has been both fabricated and destroyed, and his lawyers’ requests to access closed circuit television footage of his encounter with police have been declined. This is not an exhaustive summary, and Memorial has maintained a detailed timeline of the irregularities in the case, available in English here. The prosecution has requested a four-year prison sentence and a fine of 100,000 RUB (about 14,000 SEK). Civil Rights Defenders fear that the conviction would have a chilling effect on human rights work in Chechnya and sponsor even greater impunity for grave human rights abuses there. “Oyub’s sentence is unlawful and unjust. The milder verdict, however, showed that the public campaign in support of Oyub has worked,” says Oleg Orlov, Head of Memorial’s North Caucasus programme. Memorial is one of Russia’s oldest human rights organisations. Founded before the dissolution of the Soviet Union, it is both an unusually resilient and morally authoritative civil society organisation, and both catalogues current and historical human rights violations and provides legal aid and advice to victims of human rights violations. Memorial is also the last remaining human rights group that works on official impunity in Chechnya – a region that has been the site of gross human rights violations for over two decades. “This verdict is a blow against the few remaining human rights defenders and will, in many ways, give the regime greater space to persecute and harass its citizens,” says Ana Furtuna, Programme Director at Civil Rights Defenders. Civil Rights Defenders denounce the sentence against Oyub Titiev and demand him to be immediately freed, charges dropped and sentence quashed. Oyub Titiev received the Václav Havel Human Rights Prize from the Council of Europe in 2018 and has been the director of Memorial since his predecessor Natalia Estemirova was killed ten years ago. The organisation is one of the oldest human rights organisations in Russia and the only one with a permanent presence in Chechnya.